OECD Principles and Guidelines for Access to Re- search Data from Public Funding[EB/OL]. [2015-10- 10]. http://www.oecd.org/sti/sci-tech/38500813.pdf. Mannheimer S, Yoon A, Greenberg J, et al. A Balancing Act: The Ideal and the Realistic in Developing Dryad’s Preservation Policy [J]. First Monday, 2014, 19(8). DOI: http://dx.doi.org/10.5210/fm.v20i10.5401. The organization – Dryad [EB/OL].[2015-05-05].http://datadryad.org/pages/organization. Dryad Digital Repository [EB/OL]. [2015-05-05]. http://datadryad.org/. JM Ray. Research Data Management: Practical Strate- gies for Information Professionals [M].West Lafayette:Purdue University Press, 2014: 27-28. Dryad Collection Policy [EB/OL].[2015-05-05]. http:// dryad.googlecode.com/svn-history/r3005/trunk/dryad/ dspace/modules/xmlui/src/main/webapp/themes/Dryad/ pages/collectionPolicy.html. Policies - Dryad [EB/OL].[2015-05-06]. https://da- tadryad.org/pages/policies. Audit and Certiﬁcation of Trustworthy Digital Reposi- tories [EB/OL]. [2015-05-06].http://public.ccsds.org/ publications/archive/652x0m1.pdf. Digital Preservation Policies and Planning at ICPSR [EB/OL].[2015-05-06]. http://www.icpsr.umich.edu/ icpsrweb/content/datamanagement/preservation/poli- cies/index.html. 黄永文, 张建勇, 黄金霞, 等. 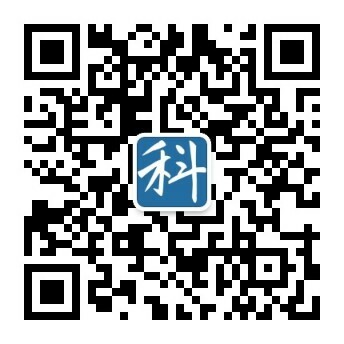 国外开放科学数据研究综述[J]. 现代图书情报技术,2013(5):21-27. A Day in the Life of a Dryad Curator[EB/OL]. [2015- 05-06].http://www.ils.unc.edu/digccurr/curatege- ar2015-talks/hull.pdf. 朱艳华, 胡良霖, 袁雅琴, 等. 国内外科研资助机构科学数据共享政策分析[J]. 中国科技资源导刊, 2015, 47 (3):50-57.